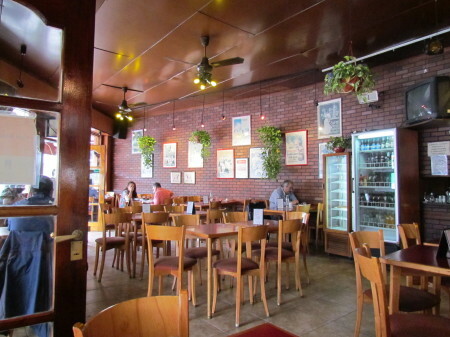 Cafe de la U takes its name from its location in Villa Urquiza, and it’s the first thing you see on a busy corner when you emerge from the end of the B line, a spot it has taken up since opening over 40 years ago. It’s a pleasant enough place, and the tables that line (block?) the pavement outside are busy. Inside the decoration is plain, but the colours are warm and it’s a nice place to sit for a while. 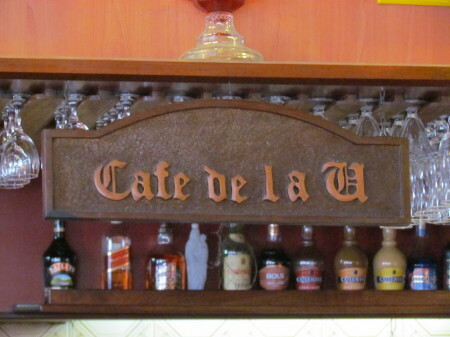 There’s not a lot else to be said about Cafe de la U. 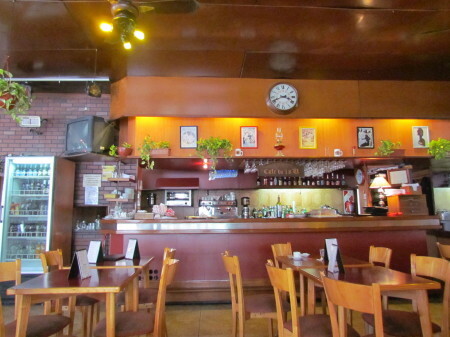 If you ever find yourself in Villa Urquiza, then you should pay it a visit but I don’t imagine it’s worth making a detour.